Dublin’s Philly McMahon has announced his engagement to girlfriend Sarah Lacey, showing a more romantic side to the football star. 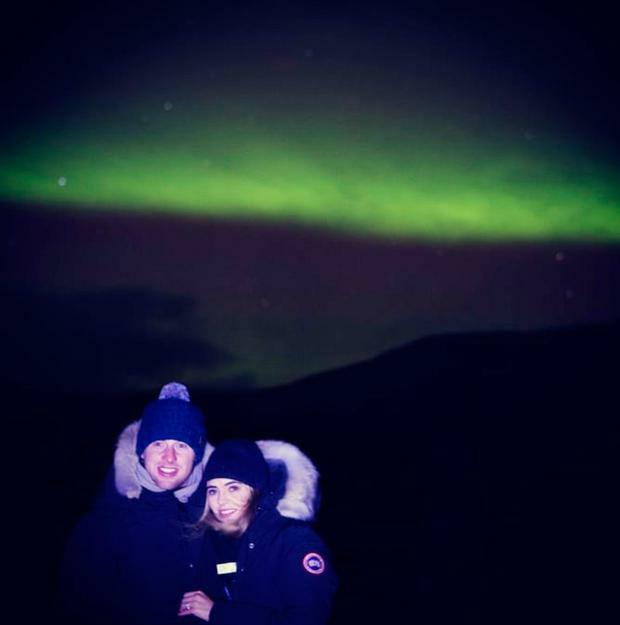 The Ballymun footballer couldn’t have timed the moment better, going down on one knee as the Northern Lights shone in the Icelandic sky. Many of McMahon’s Dublin teammates were quick off the mark to wish him well. “Congrats guys,” wrote Bernard Brogan, while another Ballymun man Dean Rock also congratulated the happy couple. It’s been a busy year for McMahon, helping Dublin on their way to securing their fourth All-Ireland title in a row. McMahon isn’t the only Dublin hero to ask his other half for their hand in marriage in 2018. Cian O’Sullivan also proposed to his long-term girlfriend Danielle Byrne earlier this year. The pair had been dating for 10 years. Like McMahon, O’Sullivan (30) surprised Ms Byrne while out of the country, on holiday in Italy.